Gearing up for next month's footwear releases from Nike Skateboarding, today brings us a detailed look at the "Clear Jade" Nike SB Stefan Janoski. Continuing the SB Stefan Janoski's longtime success, this all new colorway arrives perfectly outfitted for the upcoming spring and summer months. Ready to be skated, we see a full birch suede upper on these. 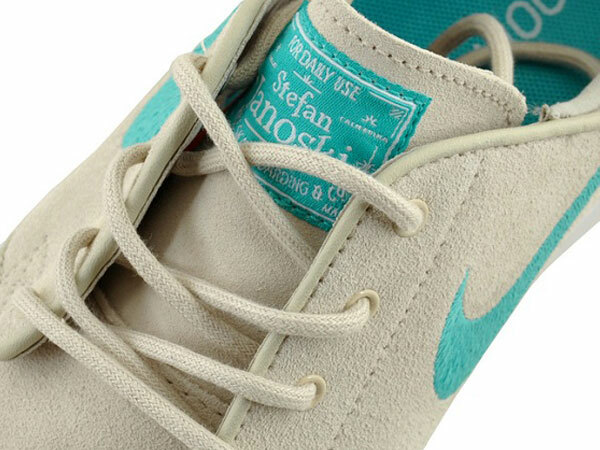 Clear jade brings them to life, handling the stitched Swoosh, tongue badge and sockliner. A white vulcanized sole completes the look down below, accented by a birch foxing stripe. 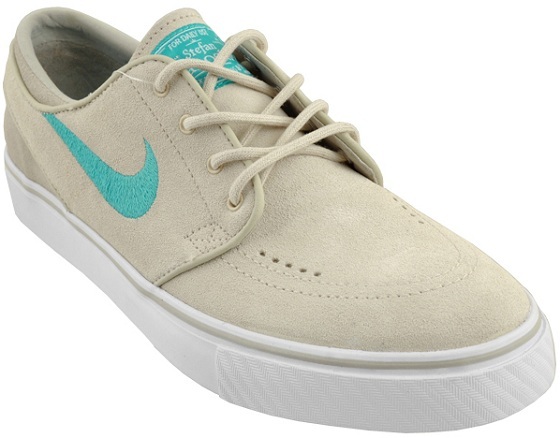 This all new colorway of the SB Stefan Janoski is expected to hit select Nike Skateboarding retailers next month.